Yay, all the fall things!! 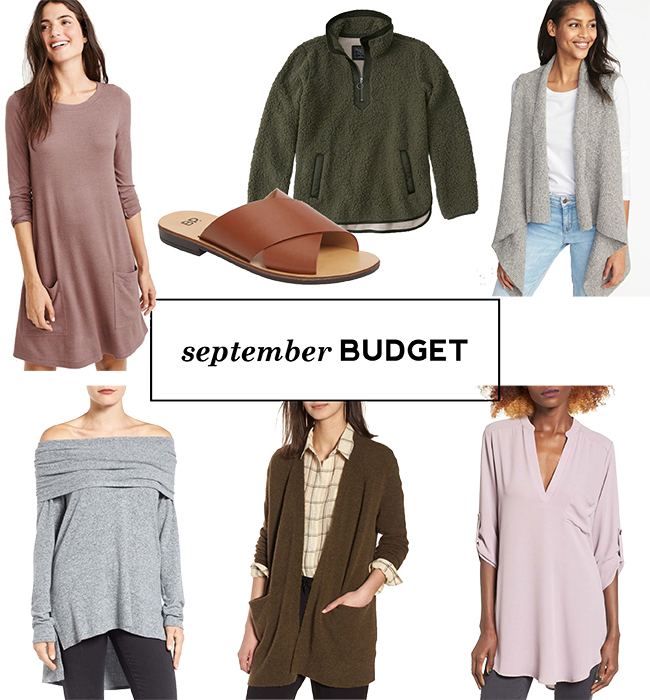 I said yesterday that my pregnancy dressing philosophy is going to be lots of cardigans and jackets and vests, but I guess that's not entirely true - I've also been buying anything that's drapey and long so that I'll hopefully be able to wear it for the next couple months and post-pregnancy. My goal is to maybe buy a few maternity tees as well as jeans/leggings, and then find regular clothes to fill the rest of the holes. I did decide I will not be counting maternity wear towards my monthly total, as like workout clothes / pajamas, underwear, it's stuff I need versus stuff I want. So far I've only gotten leggings, one pair of shorts, and a couple pairs of jeans (from Old Navy, they offer long sizes!!) and returned a loooooot of things haha. Abercrombie Sweatshirt Dress - originally $58, on sale $34.80. TBH, I only added this to my cart to qualify for free shipping, but it really is super cute and comfy. Fall dresses aren't all that practical in Chicago as it's usually either too hot or too cold to get away with one, but I'm hoping to get a couple of wears out of this! It really is cute in person and very bump friendly. BP Sandal (sold out!) - originally $34.95, on sale $13.98. And these I bought only because of the price! I figured I'd return them if the quality was bad, but they actually are surprisingly comfortable. I'm digging them now as a good transition piece - they feel a lot more fall-appropriate than most other sandals. Also figuring I'll get a lot of use out of them next year! Abercrombie Sherpa Pullover - originally $68, on sale $40.80. After loving my Abercrombie pullover from last winter, I decided to go for it with this one once it went on sale. It's so cozy and warm, perfect for fall! Old Navy Knit Vest - originally $36.99, on sale $27.20. Shared this one yesterday and I love it! Wearing a large here. Gibson Tunic - originally $54.00, on sale $36.18. I actually ordered this last fall and ended up returning it, but for some reason I decided to try it again and like it now! Just note that I am never wearing it off the shoulder like it's pictured, it can also be a cowl neck which is much more my fall/pregnancy style haha. The length is great too, very bump friendly. Madewell Cardigan - originally $98, on sale $58.80. This was actually on my wishlist during the Nordstrom Anniversary Sale, but I didn't end up grabbing it then because I bought too many things. Well, after returning a ton of stuff I felt like I could justify this again, and I'm so glad I did! It's very soft, a great length, and I love the color for fall. As I'm typing this it's out of stock, but if you want it I would keep checking as I keep seeing colors and sizes popping up. Lush Tunic - originally $42.00, on sale $27.90. I've considered this for a few years but was always worried it would be too low-cut on me. Turns out it's not! This is such a pretty color for fall too. Very happy with everything I got this month!! I basically already spent my entire budget for October over the weekend though (whoops) so trying to rein things in for the rest of the month. Did you score any good deals in September? ?